Donate – Kappa Phi Lambda Sorority, Inc. Since March 9th, 1995, our sisterhood has grown exponentially. So too has our vision for the next 21 years and beyond. 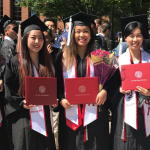 Kappa Phi Lambda Sorority, Inc., has been a trailblazer among Asian American Pacific Islander sororities, being one of the first established AAPI cultural sororities on the East Coast. We are entering a new phase of growth and continue to be at the forefront of establishing what it means to be a member of an APIA cultural sorority. The expectations from colleges and potential members have changes. We are continuously evaluating how we uphold our values of sisterhood, service, and cultural diversity in every aspect of our programming from the new member process, philanthropic affiliations to the establishment of our regional alumnae chapters. 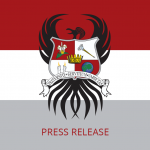 The Board of Directors is in the midst of spearheading two initiations that would set the foundation for our future enhancement, development, and growth. First, with this letter we are starting our bi-annual fundraising drive. The goal of the Board of Directors’ fundraising drive is to support Sorority wide enterprises. Undertaking these projects require financial support and with your generous contribution, we can reach our goals. As we expand our online presence through one our media project, we hope to stay more connected with all of our alumnae. Please click below to make a contribution to our efforts. We appreciate any investment you can make. As a thank you to show our appreciation, all sister donors will receive half-off one year’s membership to the National Alumnae Association. For more information, please reach out to Katherine Prudente at kat.prudente@gmail.com.